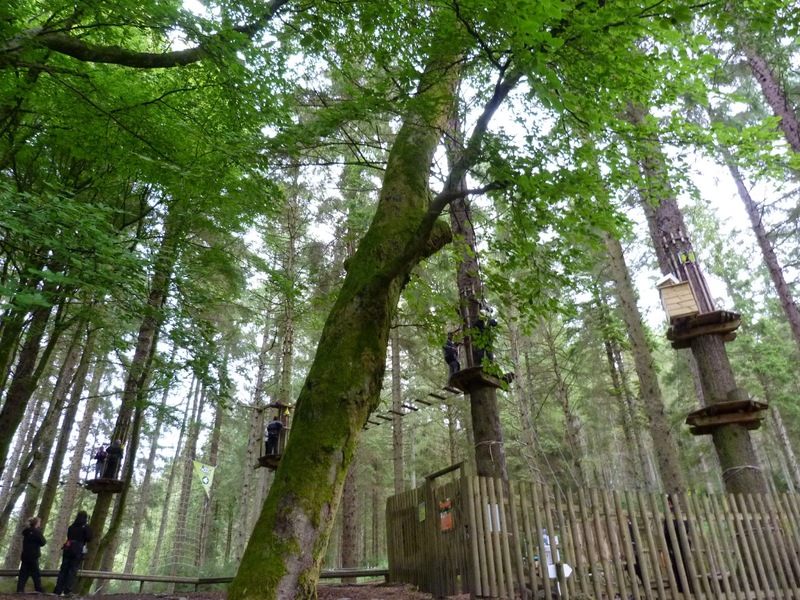 “Go Ape,” the signs urge all the way through sleepy Aberfoyle on a slightly damp Sunday morning. It’s hard to imagine the crimplened coach passengers (the only others on the main road at the time) going even a very little bit monkey. Pondering this we – Boys One, Two and I, arrived at beautiful Forest Visitor Centre. The day was clearing and there was a whiff of coffee on the air. Lovely. However, before I could settle down with a latte and the scenery, I found myself agreeing to supervise my sons on a “potentially dangerous activity”. So what’s new? But then, we were being fitted into harnesses and shown how to clip a series of carabiners onto various things “so you don’t plummet”. And then we were departing, one-by-one by zip-wire to the other side of the valley. “You’ll land at running speed,” said the man in charge. I don’t even like running at running speed. 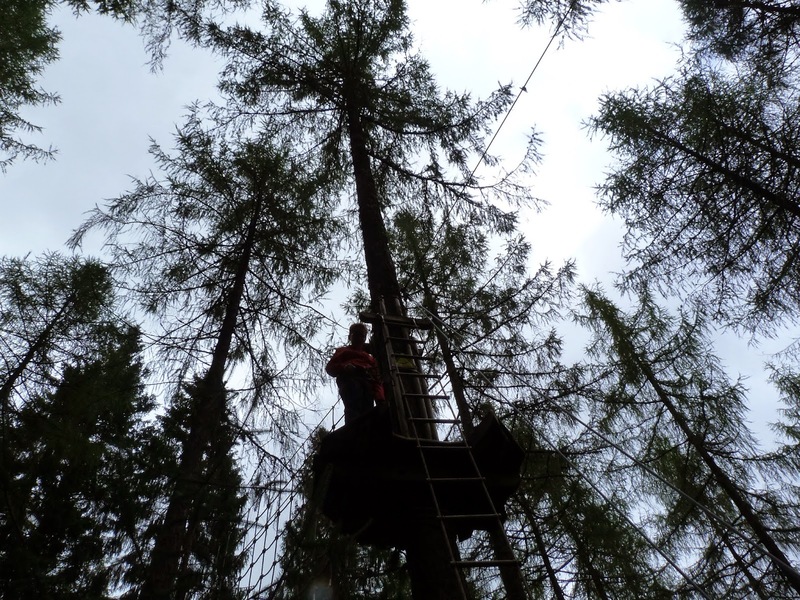 However, zipping over the treetops was actually quite magical and the landing very soft and not even too undignified. There followed an exhilarating couple of hours of clipping, climbing, scrambling, zipping and, a couple of times, stepping out into the nothing. Lesser spotted brothers not making faces or fighting. You can’t Go Ape unless you are over 10 and taller than this. It does feel like flying. 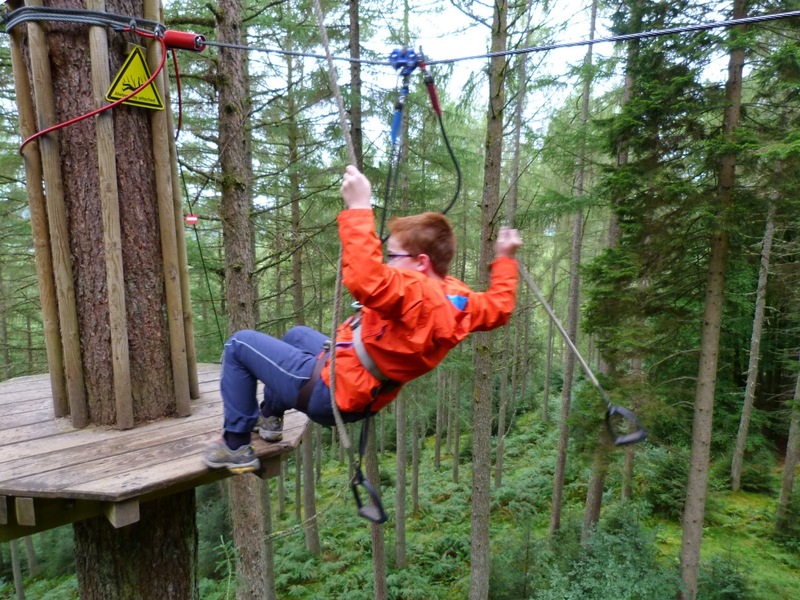 On the long zip wires, if you look down rather than up, you get the sensation of soaring through the trees. Very cool. Thanks to Jim for that tip. Mum’s not such a big wimp. Egged on by Boy Two it was impossible to dodge the Big Daddy Tarzan Swing. I only squealed a bit. Bum shuffling into the abyss is easier. Striding off the edge of a lofty platform is quite hard to do, but squatting down or sitting and edging off the side less so. Women are better designed than women. If you don’t believe me, compare the expressions (and gaits) of men and women getting off a zip slide wearing a climbing harness. The Queen Elizabeth Forest Park is lovely. Go visit, climb Ben A’an. Soak in the sights, but don’t for get your midgie lotion. A little adrenaline goes a long way. 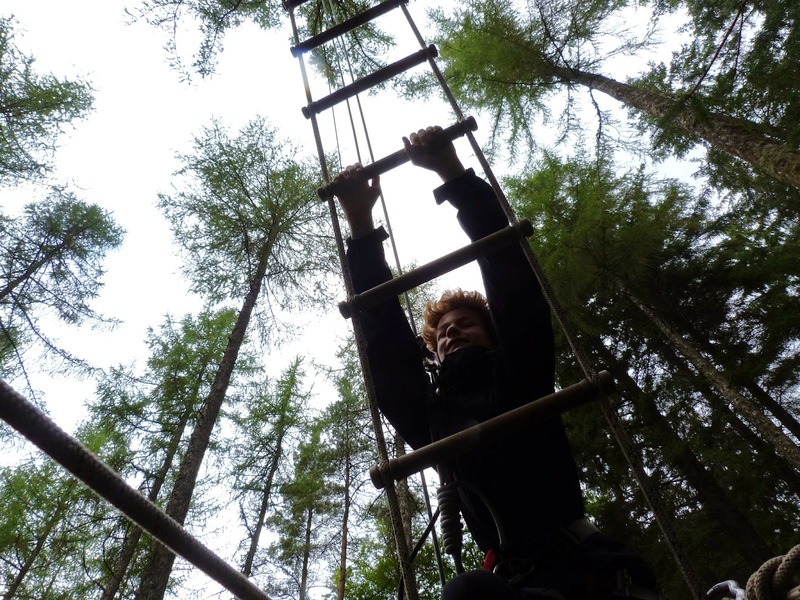 And that’s the beauty of Go Ape, it’s mind-focusing and challenging, but not traumatising. Disclosure: We were invited to Go Ape to try it out and report back here, but we’ll certainly be back. 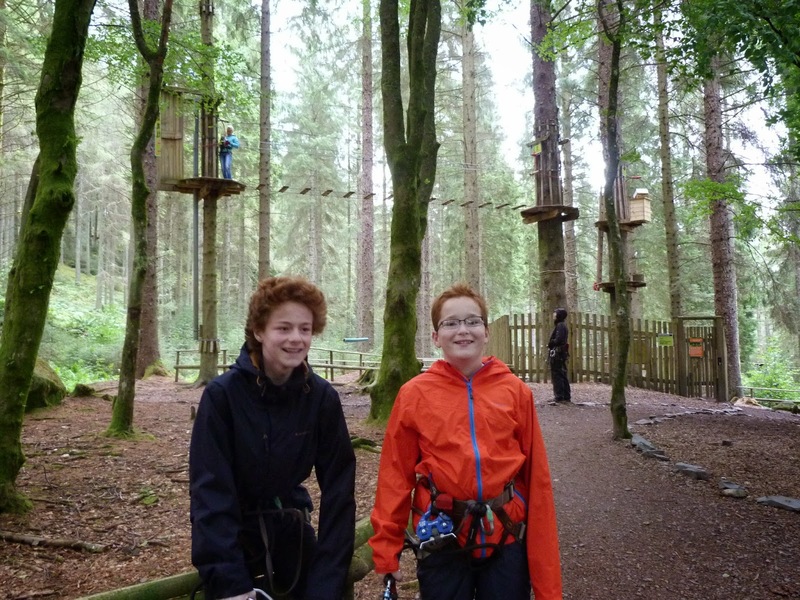 Loved go ape and definitely a great area to explore! They have done a lovely walk by the lodge. We just did a baby course with my wee man while on holiday in Italy today and he loved it! 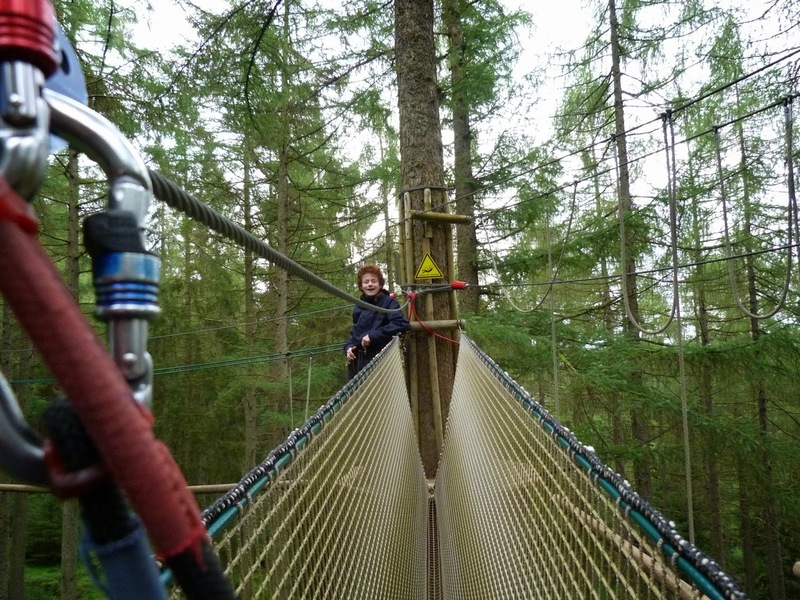 I believe Go Ape do a course for shorter younger ones down south. The do. Some of the other Go Apes have a junior course. It would be brilliant if they added that here as then it's a day out for the whole family. 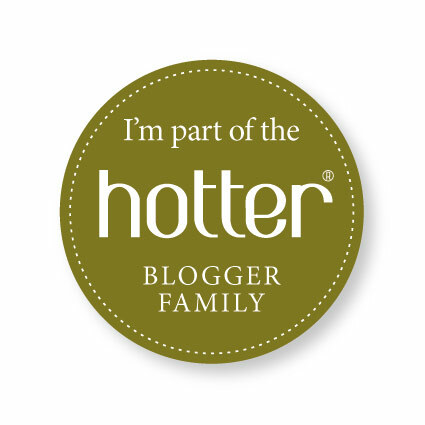 ◄ What can I say to new bloggers?